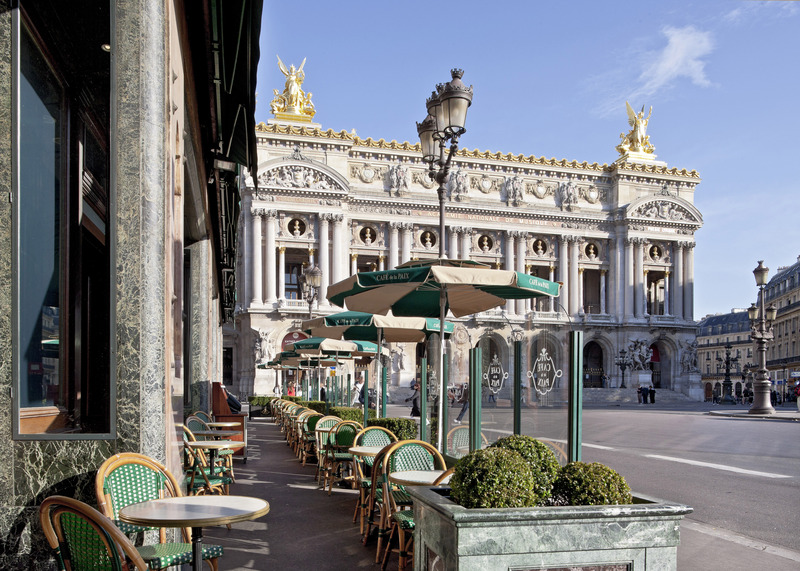 Cafe de la Paix is located in the heart of the city center, right beside Opera. 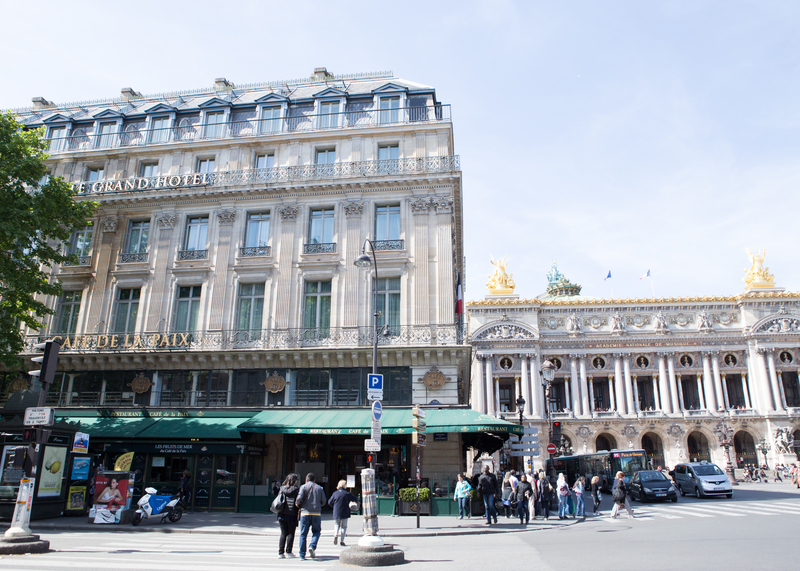 Belonging to the Intercontinental Hotel, Cafe de la Paix was built in 1862 under Napoleon III. 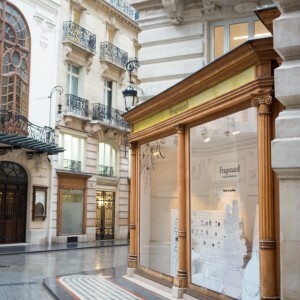 Being an ideal setting, just in front of the Opera Garnier, it has welcomed writers, actors, politicians like Flaubert, Victor Hugo, and Oscar Wilde and others. Decorated in a Second Empire style, its golden columns and frescoes are listed as historical monuments and literally take one's breath away. Golden lights and elegant red chairs also add the special atmosphere. 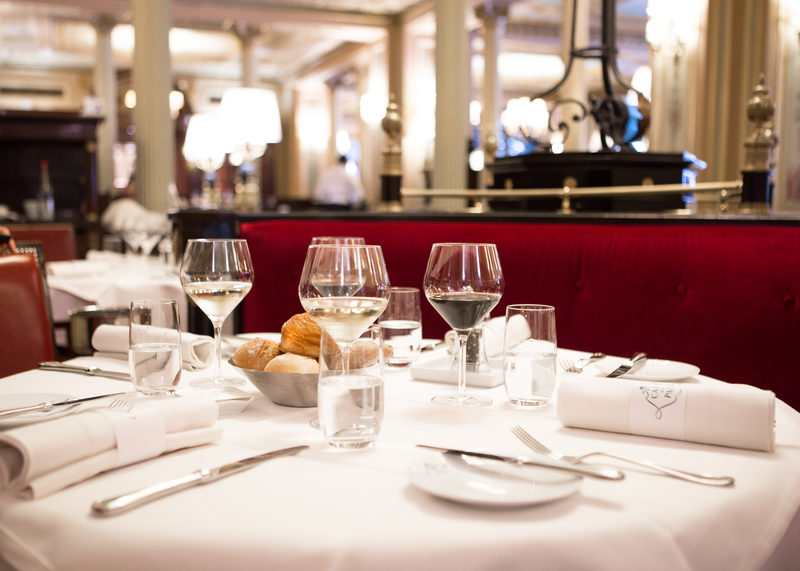 You can enjoy every meal at Cafe de la Paix from Sunday brunch to lunch, dinner, dessert, and coffee. 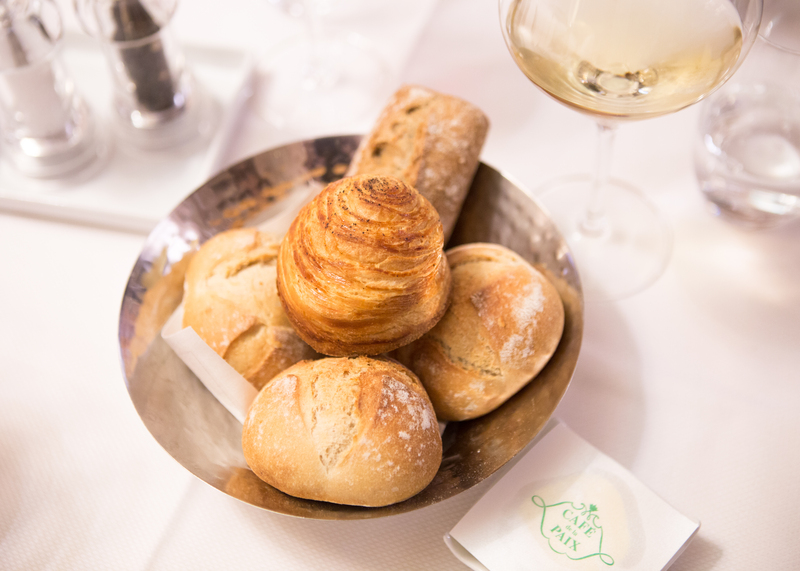 Before starting meals, all the tables are served with various kinds of bread first. 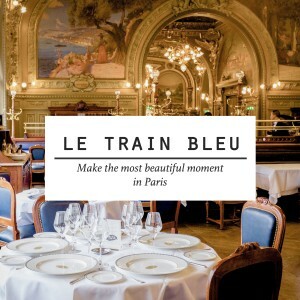 The Michelin-starred chef, Laurent André, is very passionate and serious about food and creates seasonal cuisines featuring local and regional products. 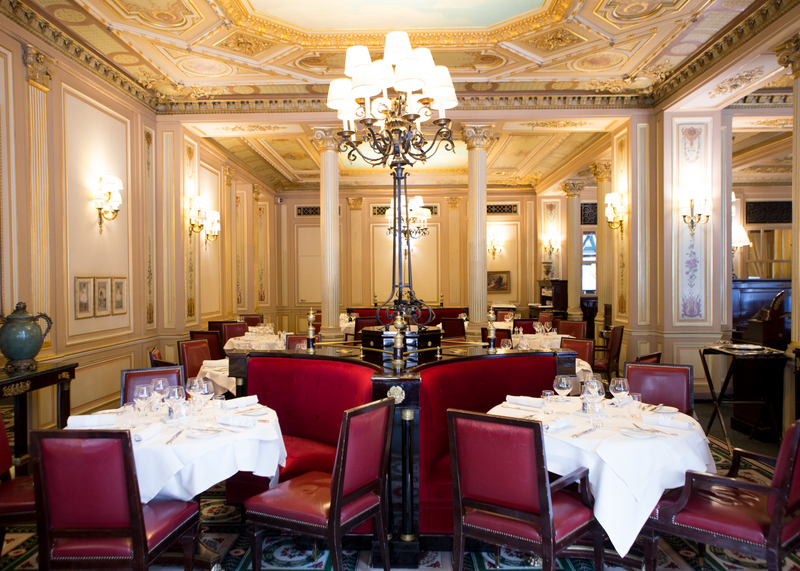 Signature dishes are Foie Gras du Cafe de la Paix, Mille-Feuille, and Seafood platter. 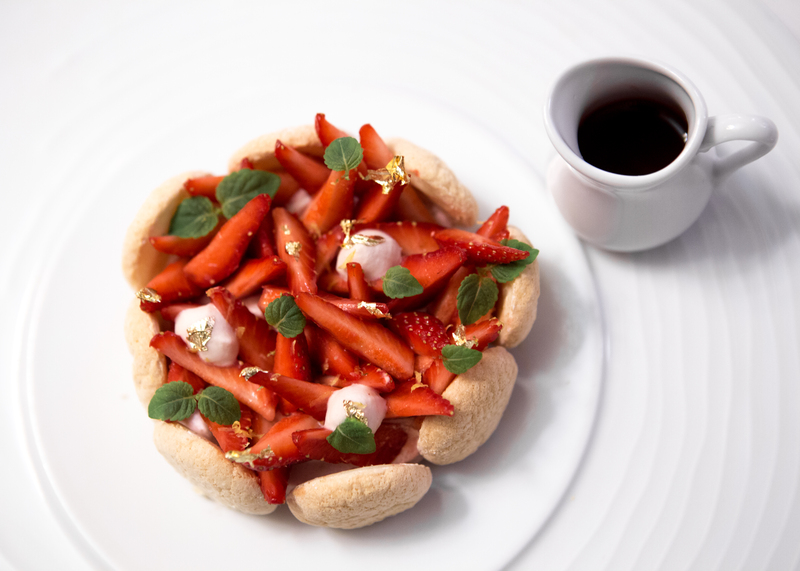 Also, there is Monthly menu prepared according to seasonal products like strawberry in May and black truffle in January. One of the most popular starters is this steamed green asparagus, the special seasonal product from spring. 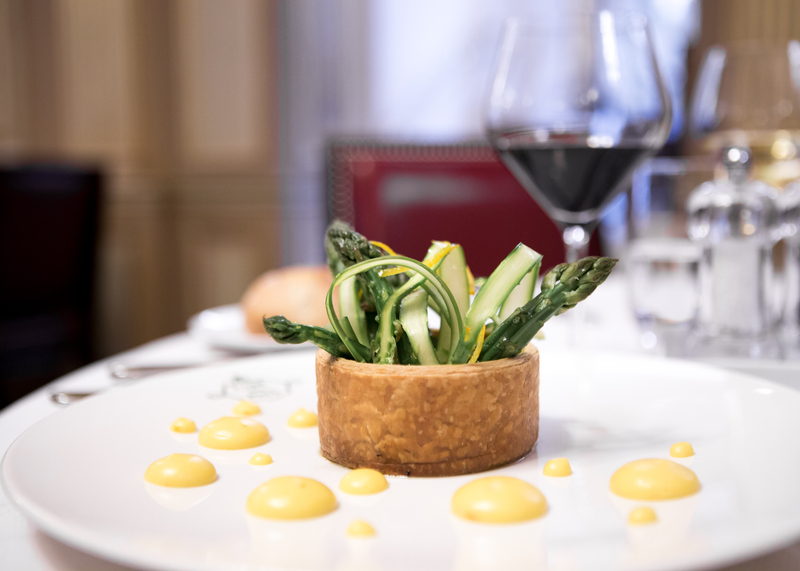 Asparagus is from Provence and surrounded by puff pastry which adds some unique texture. Hollandaise sauce with orange peels also stimulates your taste buds. 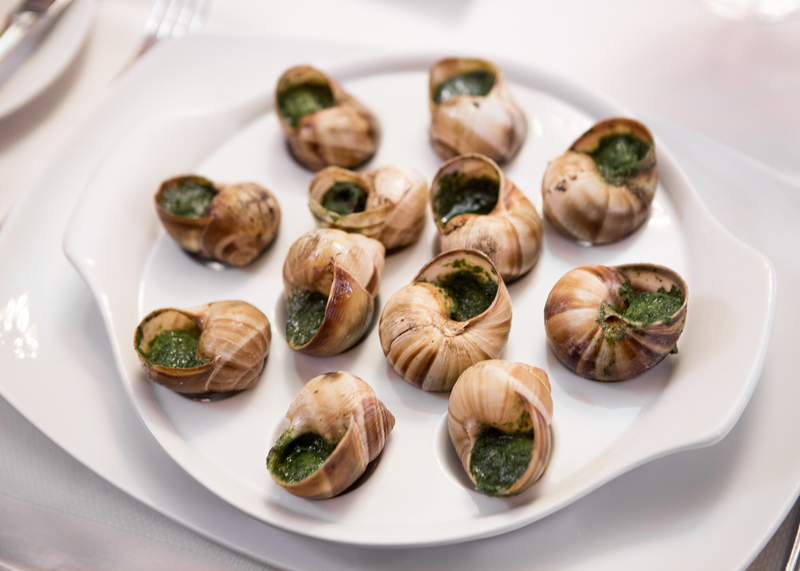 One of the stereotypical French foods you might expect to try would be escargot. Even when it is your first time trying it, you don't have to be scared or worried. Escargot is very tender and it goes well with the pesto sauce mixed with butter, garlic, and oil. The sauce adds more taste and also lessens the burden to try a new type of food. 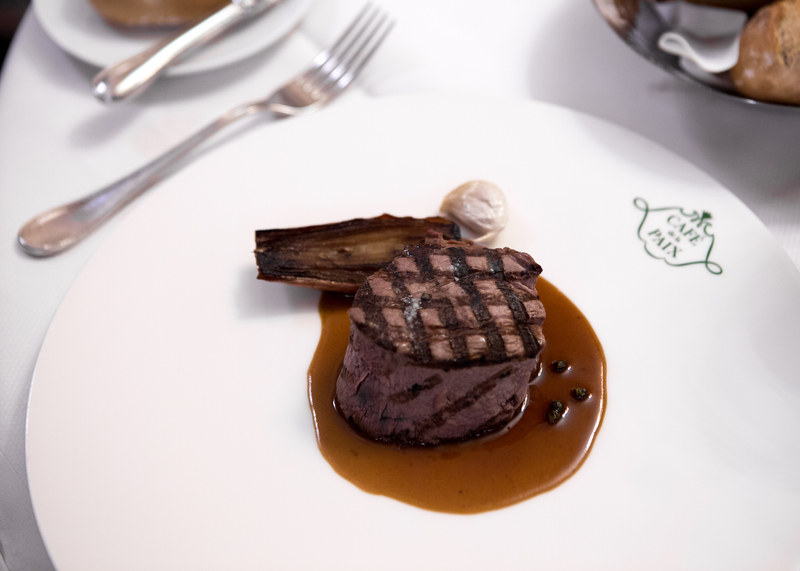 Grilled French beef tenderloin is truly recommendable. Just by seeing this thick steak cut, it is attractive enough. The beef was very tender and the green pepper sauce makes it the best tenderloin ever. Macaroni & Cheese is served on the side. 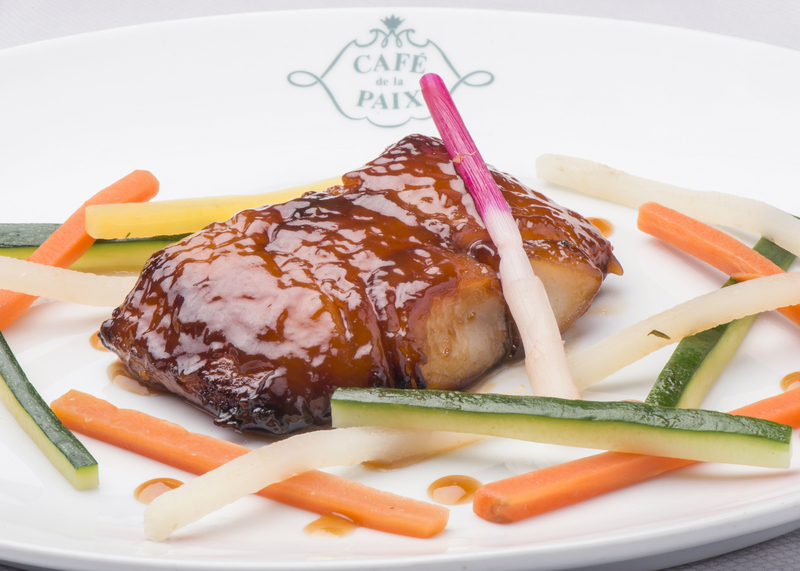 Antarctica Black cod with mikado vegetables and lemon-ginger sauce is aromatic and melts in the mouth. Accompanied by fresh vegetables to add the crunch texture. 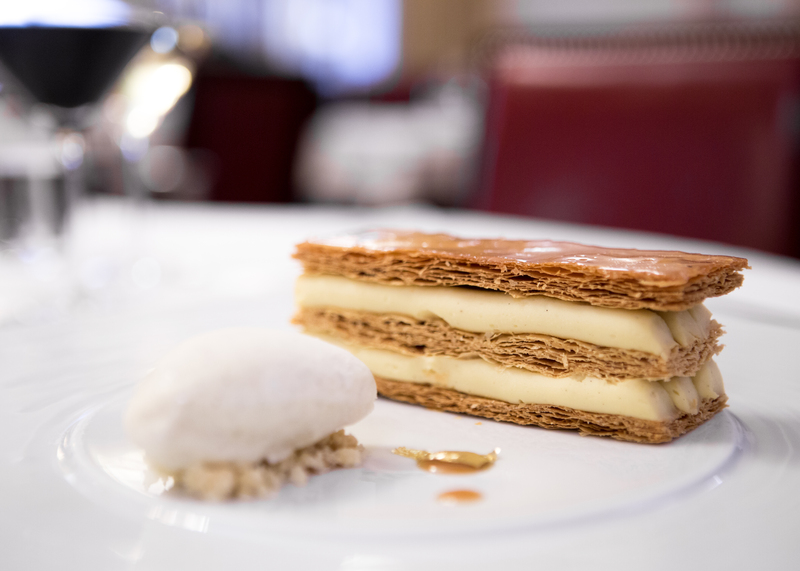 One of the most famous French desserts, Mille-Feuille, is one of the Cafe de la Paix's signature desserts. Its crispy puff pastry and the soft vailla cream give you the huge delight. It is just perfectly sweet and the vanilla ice cream on the side also refreshes your mind. 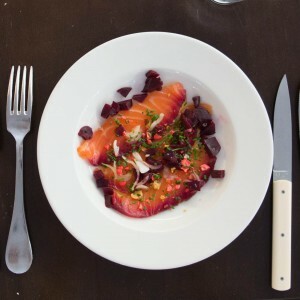 They also have their own monthly menu which changes every month depending on the seasonal ingredient. For May, they prepared special menus with 'strawberries'. This strawberries shortcake with fresh strawberries was definitely a good choice. As they change the menu every month, you have more variety of choices with fresh ingredients. Surprise! Just behind one of the doors in the restaurant, there is a seafood counter as well. 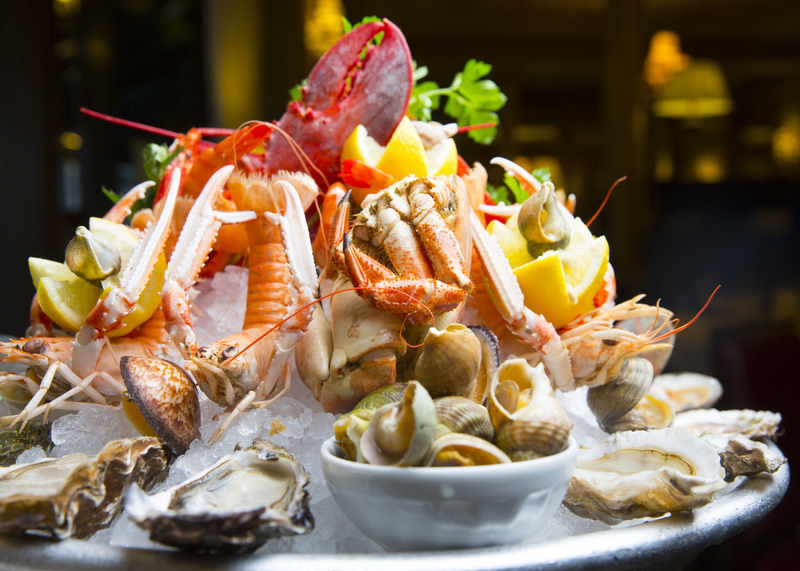 You can try the fresh seafood with different combinations of oysters, clams, shrimps, crab, and so on. Professional chefs are always ready to serve you the best seafood any minute. 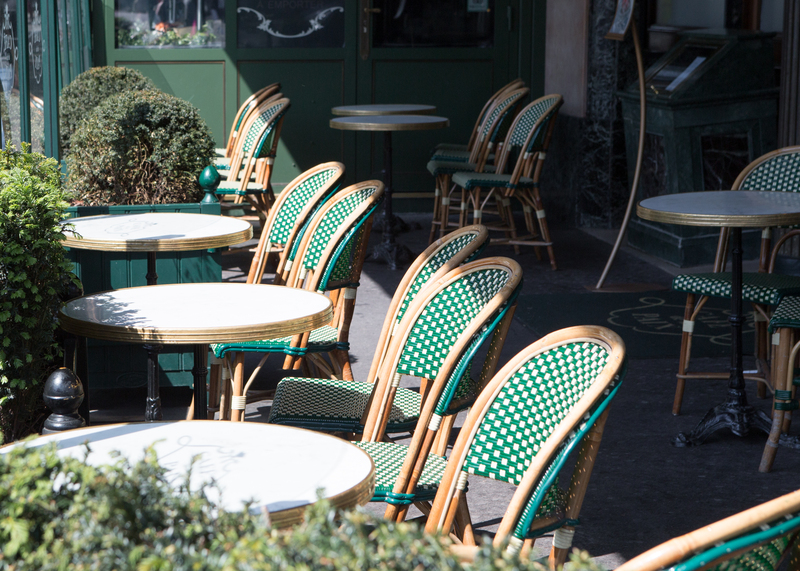 On a sunny day, there are seats on the terrace as well. 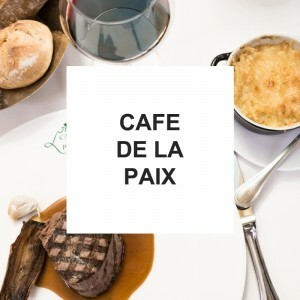 Cafe de la Paix has all you want from the starter to dessert, seafood, and coffee. It is a truly pleasant place to visit even only for the coffee or dessert. 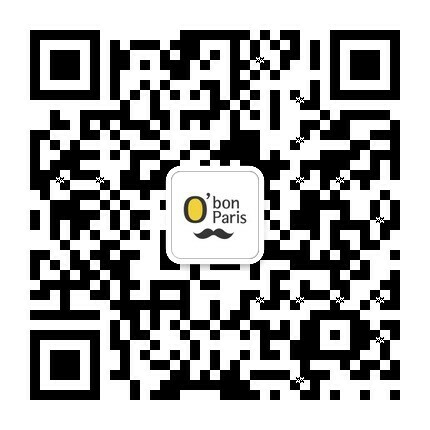 With O' Bon Paris coupon, you can get 10% discount on lunch and dinner menu in the restaurant (terrace area is excluded). You must present the coupon when you arrive at the restaurant before the order.